I am crazy over peter pan collars, thanks to the super awesome Alexa Chung. 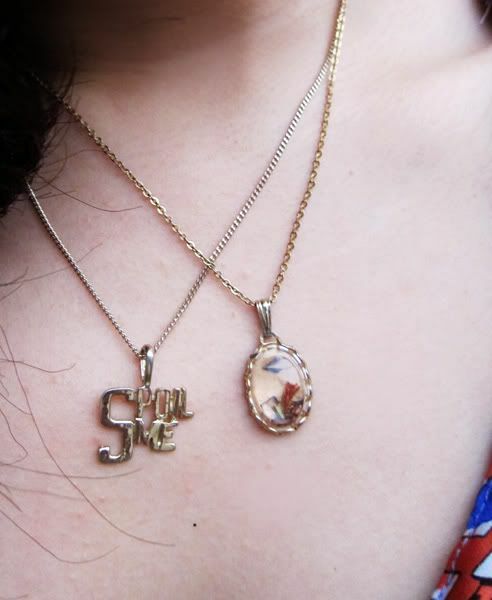 Unfortunately, it's not easy to find peter pan collared items which aren't too cutesy. 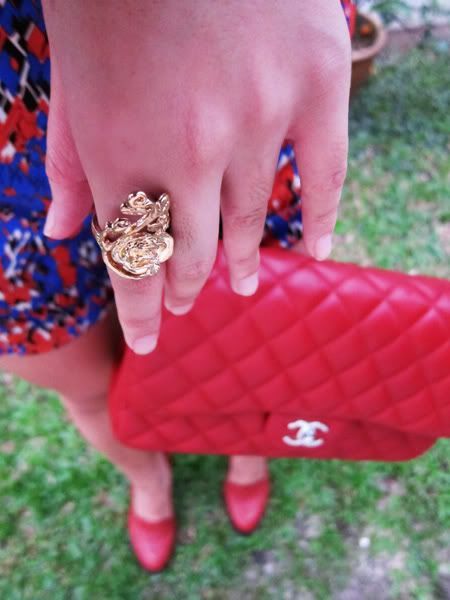 Worn with gold rings I got from a night market in Bangkok. I am trying to show you this pretty belt I picked up on Boxing Day in Melbourne! It has bows all around the belt. :) I actually prefer the white one, but it wasn't on sale, and I didn't want to part with 20AUD for a skinny belt (as pretty as it is). 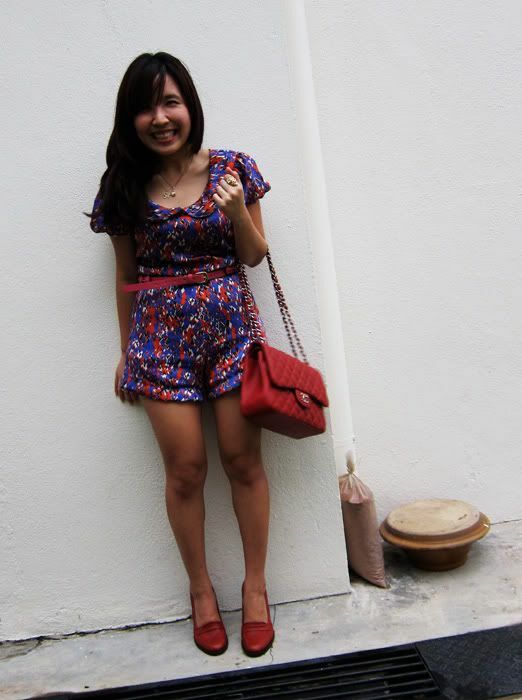 When I first laid eyes on this romper, I kinda already knew I want to wear it for CNY. 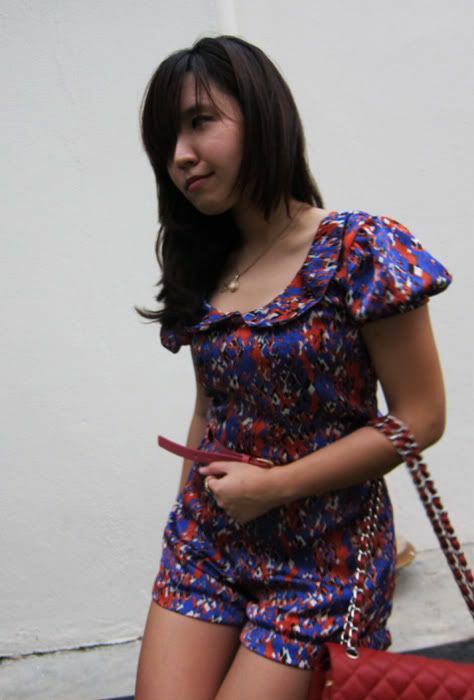 The silky fabric is luxurious to the skin, not to mention quite airy as well-- and we all know that CNY house-visiting can get humid and sweltering hot at times. I also try to wear shorts while house-visiting (pants can get rather warm), 'cause it means I don't have to worry about flashing my privates to my relatives. And the bright colors! So it was a check, check, and check for this pretty piece. 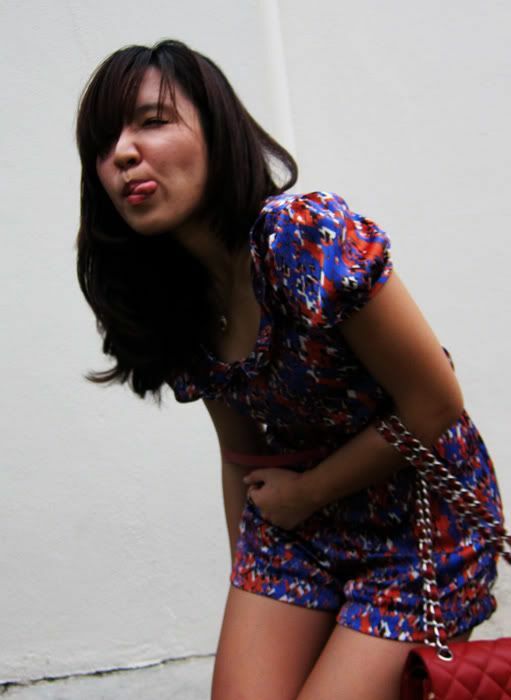 I would have worn it on the first day of CNY, if not for my superstition with wearing red on the first day. Is that the Med size or Jumbo? If it is the jumbo is it the new one with double flap? btw dear, sent u an email about the poker card top..
this outfit is like your fav outfit!!! you look super duper happyyyyyy!!!! 1. is ur photos taken using canon s95? I absolute-fantastically-love your heeled loafers!!!!!!! Dayummmm! Those loafer heels are AMAZING! !